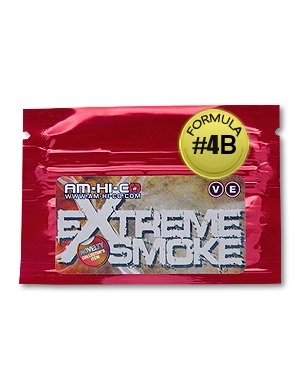 Am-hi-co Extreme Smoke is as eccentric as the cover promises. Behind that thunder, Extreme smoke has a psychedelic charm. It is difficult to compare it to Am-Hi-Co’s other incense products simply by a shift in quantitative score. Extreme smoke’s aroma flows smoothly through the atmosphere, its fragrance gently draping a soft, heavy comfortable blanket over your body. Sounds become soft yet more pronounced, as if projected through tube equipment. Music sounds particularly beautiful. As a man with a heightened appetite and appreciation for food, Extreme Smoke makes for a great companion to dine with. The shrouds of smoke from the incense bowl form vivid appearances. Geometric objects and their angular properties are emphasized along with a cloud of spatial distortion, what I call it in its fragrance-filled room imagination can prevail over the senses. Sensitivity to light, color, shape and texture is increased with open eyes. Closed eyes create a blank canvas for one to paint their own scenes, and a mild sensation of weightlessness occupies the body. The experience will spill over the hour mark when this Extreme Smoke lowers the hot air balloon and skims to a slow stop. If you’re looking for a rare jewel, this is it. Sufficed to say Extreme Smoke may not suit everyone’s taste and may be too eccentric for some to handle its company.